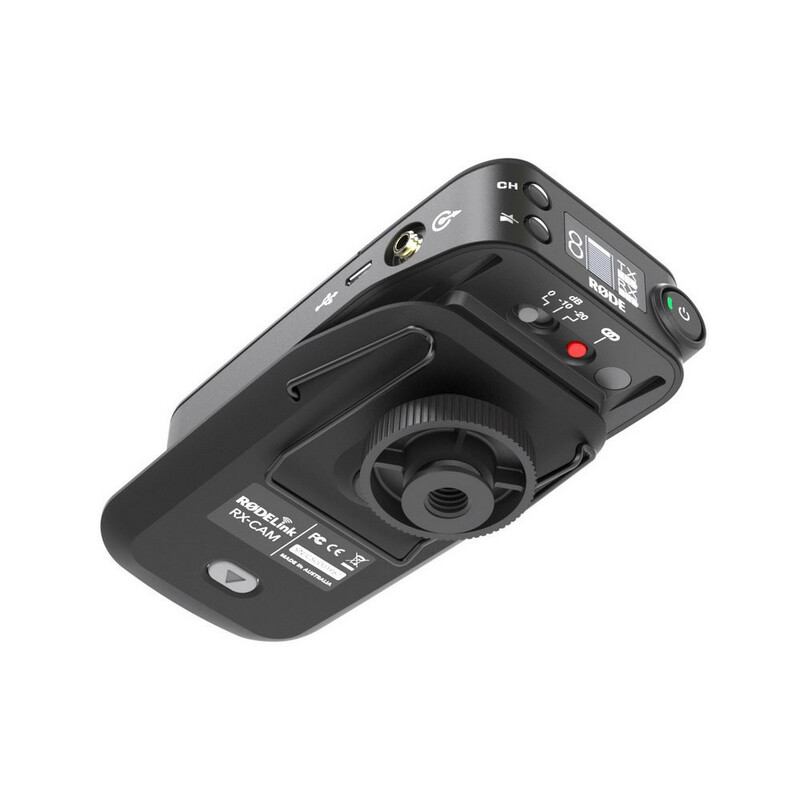 The Rode Link Filmmaker Kit from Rode is a next generation wireless system for film and video production enabling filmmakers of all areas of production to get professional broadcast quality audio in an improved design and unprecedented range. 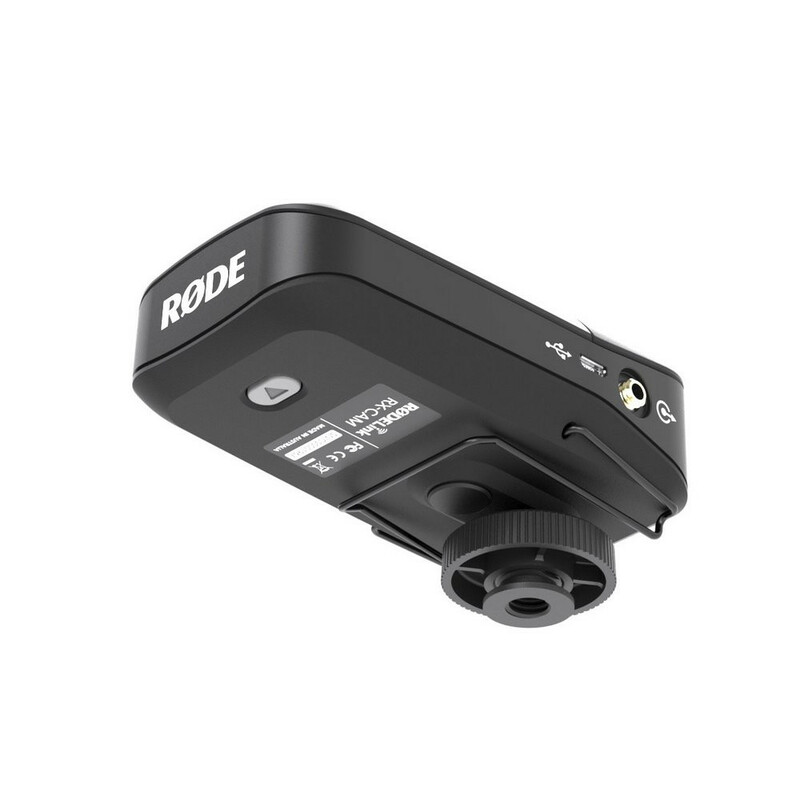 The RodeLink is comprised of a newly redesigned receiver and transmitter and it includes the Award-winning Rode lavelier microphone. The wireless system features a Series II 2.4 GHz 128-bit encrypted digital transmission signal that constantly checks and jumps between frequencies to select the strongest signal. The kit offers a low signal-to-noise ratio and provides a high-resolution 24-bit 44.1 kHz digital transmission of lossless audio at a range of up to 100m. So whether you are a DSLR filmmaker or use higher-end cameras like the Canon C300, Sony PMW-F5, FS7 etc. you can make the most of your production by getting the RodeLink Filmmaker Kit. 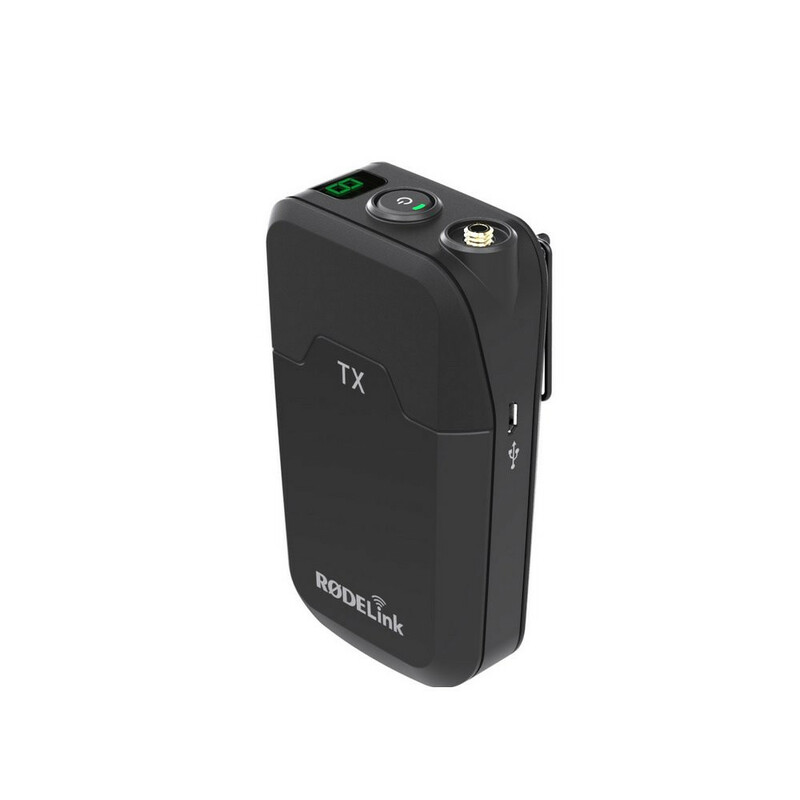 The receiver (RX-CAM) features an OLED display with information on level, battery status (receiver and transmitter), mute and channel selection. The unit can be mounted on a standard camera shoe mount, 3/8" thread or belt-clip, and for added versatility the shoe mount can be located in one of two positions. 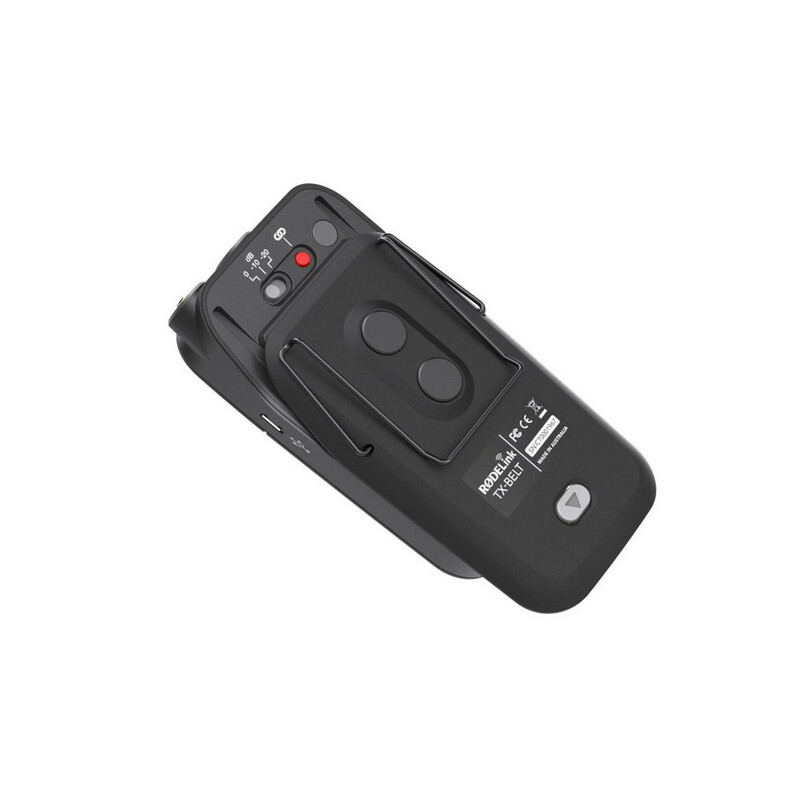 The lightweight transmitter (TX-BELT) can be fitted to a belt or clothing and features a locking thread to ensure the microphone connection is as secure as possible.